I have been on an Italian food spree. I mean it. Spaghetti, mozzarella, lasagna, bruschetta, risottos everywhere I go! A bunch of it for a particular work, work which I love. A large part of it for the Pomodoro Bloggers' Table. And lots of pizza for you know, fun. Because I'm so health conscious and all that. Ahem. Which brings me to Tiramisu. It's a combination of all my favourite things. Creamy goodness? Check! A punch of coffee? Check! Sometimes a kick of Kahlua? Oh-so-totally check! What makes it even more special is that very few places do it really right. Where the balance of Mascarpone to ladyfinger/ sponge is just right, and the coffee hits your happy spot without being too bitter. Well I got news. 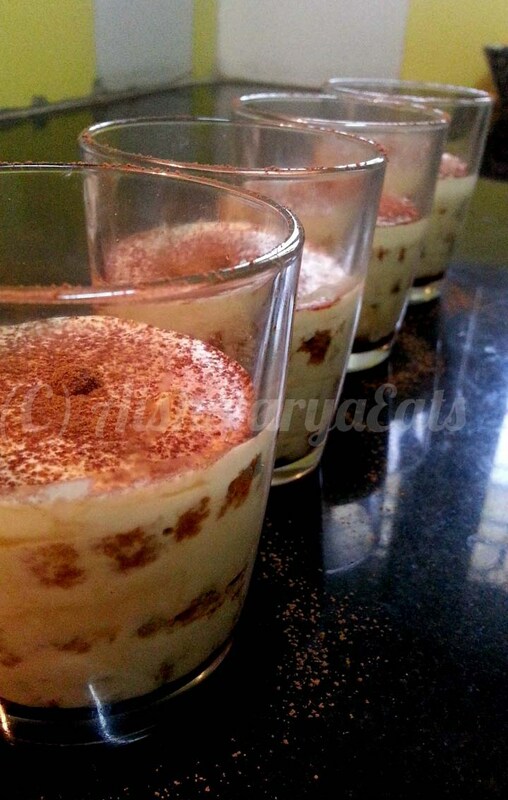 One of the places that does a Tiramisu just right, is right here, in my kitchen! That's right! I made the most heavenly Non-alcoholic Tiramisu in the world. 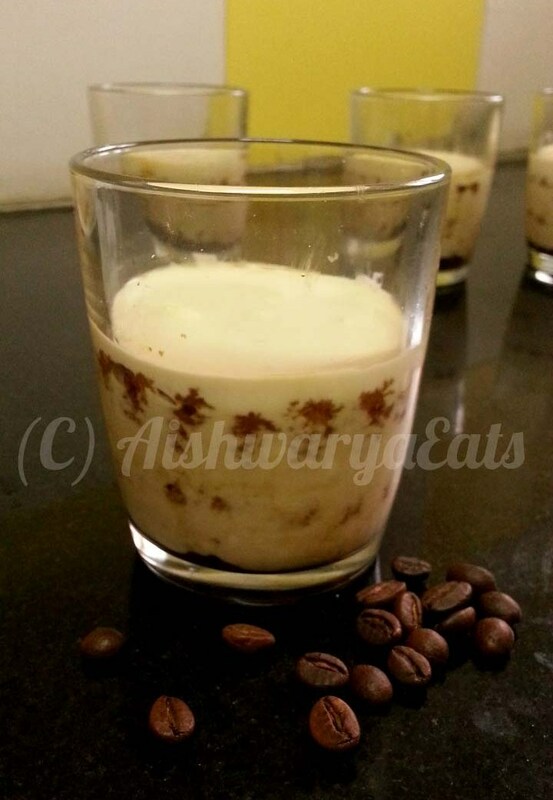 A spoonful comes up with cold creamy mascapone, alternated with coffee soaked sponge layers. How much closer do you want to get to heaven! 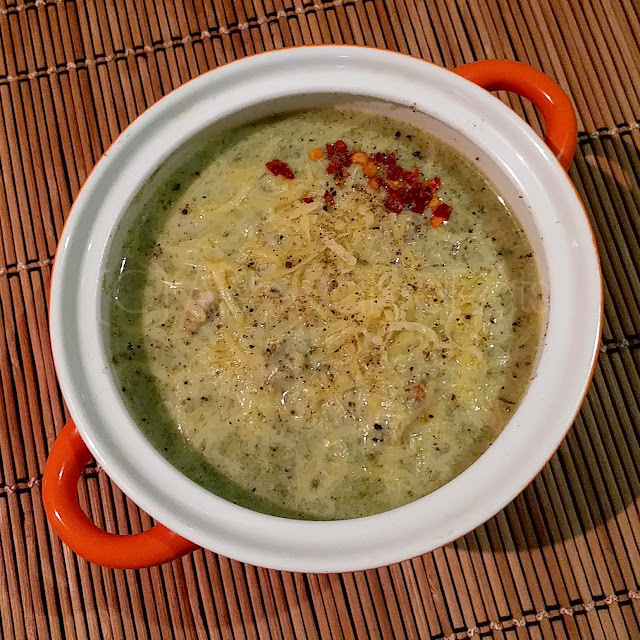 A bowlful of mascarpone cheese. You can get store bought, but because it's so expensive, I made my own. Sponge cake: cut into round discs, medium thickness. Do this bit in the morning. Heat the cream on double boiler till it just barely shows a few bubbles on the sides. Stir in the lemon juice and let it sit for a while. 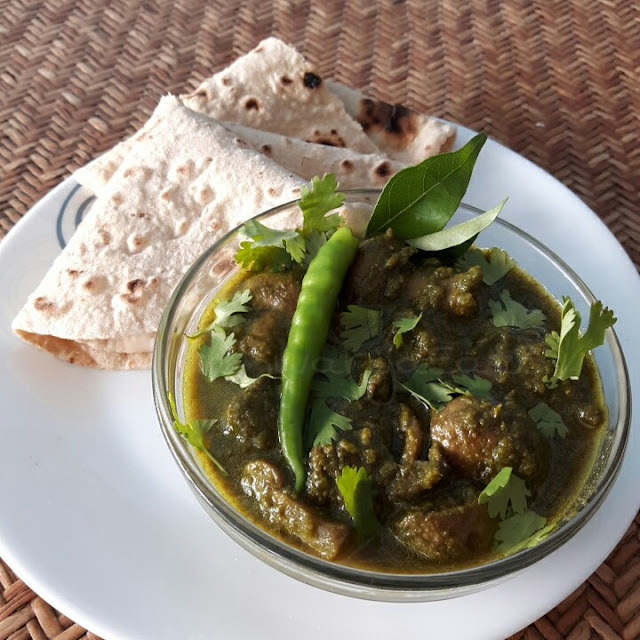 It will start to thicken, but not like paneer. It will just start to show some clear streaks of whey. Remove from heat, and let it cool down completely. Pour it in a strainer lined with 2-3 layers of cheesecloth. Tie a tight knot and hang it over a bowl. Let the whey drain. It is a slow process, but do not squeeze. The next evening, you can start assembling the tiramisu. Dissolve the coffee in a bit of very hot water, along with the sugar. You need to taste or smell the liquid for enough sweetness and strength. It should be really strong, and quite sweet. It shouldn't be thick. Let it cool down in a bath of cold water. Put about 1-1.5 teaspoon of instant coffee, not the syrup, in the mascarpone. Add very little granulated sugar, just so that there's a very mild sweetness in the cheese. Mix well. Keep tasting it. Remember, it should not be overly sweet. 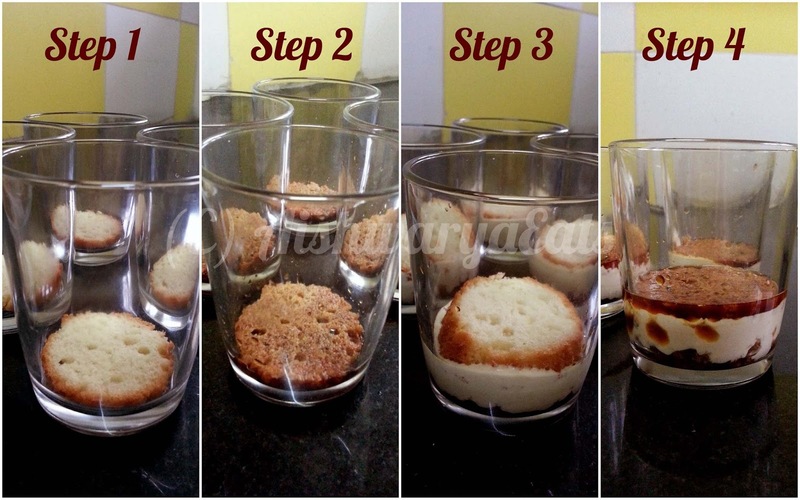 In individual glasses, place one round of sponge cake at the bottom. Soak the sponge in the coffee syrup. Spoon a layer of mascarpone over the sponge. Not too thick! Put another layer of sponge on it. Repeat till you have enough to make you feel happy. Dust a little cocoa powder on top, just for garnish. Refrigerate till you can't hold back anymore. Dig in and say "Thank you Italy!" And to make you happier, it tastes even better the next day! 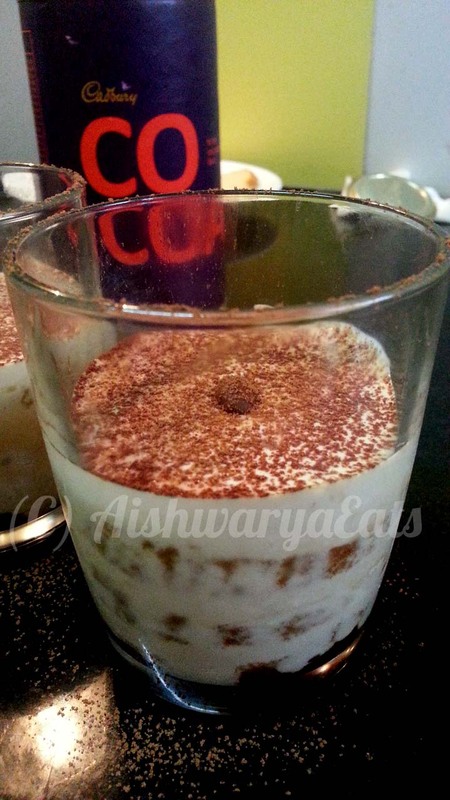 I am in Tiramisu heaven right now Aishwarya! Any plans to sell these someday? Yum!! Okay, dumb question but mascarpone cheese sounds suspiciously like paneer! What's the difference..is it the fact that it's cream and not milk?! Mascarpone is the paneer of cream! That's actually true. 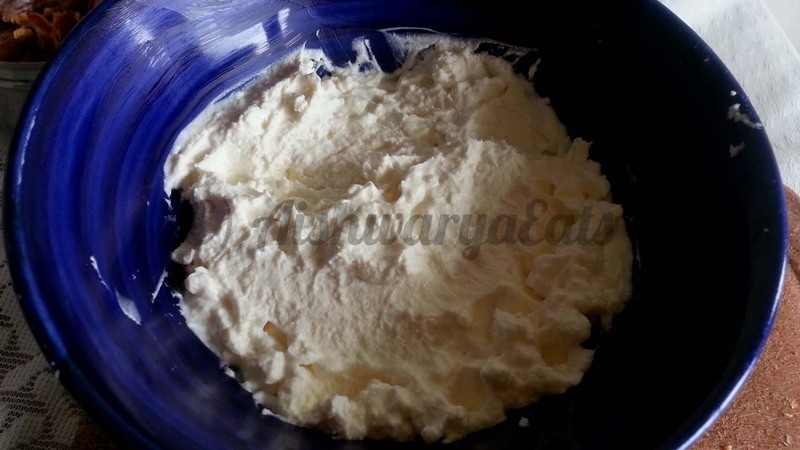 While paneer has very little fat content, mascarpone retains the fat because it is made of cream. Wow, you make it sound super easy!! Pinning!